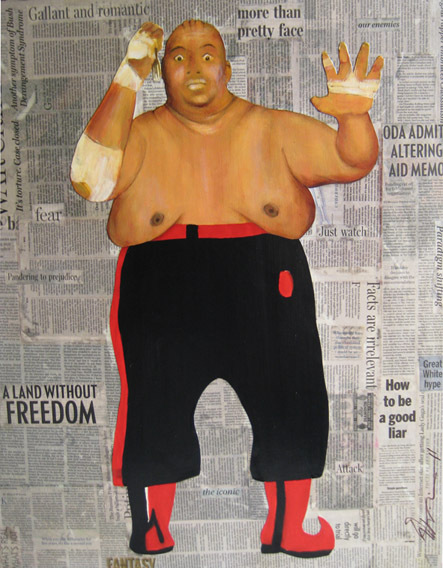 Here is another 'Abdullah the Butcher' painting, recently commissioned. This one has him brandishing his weapon of choice, the fork. Next up for exhibition will be more in a continued series of wrestling villains.